Of all the topics you have to research and review as a physician, it’s likely you haven’t spent too much time thinking on the area of disability insurance. But for a physician, adequate disability insurance is an absolute must. Not just for you, but for your immediate family. There are many aspects to purchasing a disability insurance policy along with entirely new terminology. A quick google search and you can find yourself swimming in a sea of vocabulary which is unfamiliar and confusing. Sure, you should ask questions to someone who sells these type of policies, but you are probably looking for a way to verify information independently. This guide to disability insurance was created with exactly this in mind. Keep reading to find out everything you need to know about disability insurance and what to look for as you purchase a policy. Before we dive in, let’s answer the very first question you’re probably asking yourself. Why do I even need disability insurance? I’m young and healthy therefore why should it matter? Can I set aside enough money in savings from my high-earning salary to self-insure and use my employer for coverage? These are all valid questions, but let’s take a further look. Yes, you should have an emergency savings set aside, but there’s no reason to deplete it if you can avoid it by carrying proper insurance. Since you can never plan on an exact amount of time you would need to withdraw funds to cover time out of work, relying on your savings is extremely risky. You can quickly do the math for yourself. If you earn $200,000 annually, and you set aside 10% of your income a year, it would take you about 10 years to save up one year’s worth of income. You would wipe out your savings in 12 months if you were unable to work due to a disability after it took you over 10 years to save! A long-term disability policy allows you to protect the savings you work so hard for and gives additional peace of mind that your expenses can be covered. Your savings will remain intact for a relatively small amount of money each month. As physicians, it’s crucial to make sure you have 3 to 6 months of emergency savings set aside. But think beyond the 6 months. It can be an uncomfortable topic to discuss, but have you thought about what you and your family would do if you were suddenly unable to work? You’ve seen it for yourself in your own profession. A perfectly healthy individual can suddenly be involved in an accident or be the victim of a debilitating injury or disease without any type of warning. Is there any particular reason you would be immune from something like this happening to you? Most likely there isn’t, so you need to have coverage just in case. With your job as a physician, you have probably spent more time thinking of your patients rather than yourself when it involves these types of situations. Think about how you would perform your duties if you were unable to use your hands, unable to stand for an elongated period of time, or if you couldn’t walk the floor during your rounds. This point is being made not to overwhelm you or create fear- it’s to remind you your job as a physician is physically demanding, therefore, you need a plan in place should you be limited physically. Having a disability policy in place is going to insure your education and training, your experience and your physical well-being will all be protected. If you didn’t have any income coming in for you or your family, it’s important to think about how your obligations would be paid. If you have a mortgage, student loan payments, vehicle loans, children’s educational expenses- all of these things will have to continue to be paid. Let’s face it, you’ve invested quite a bit in your education and your lifestyle. If you’re dealing with an injury, you don’t want to add to your stress with worrying about finances. The emergency savings you have set aside can be drained quite quickly if you don’t have any other income coming in. As a physician, you’re a researcher by nature. You’re used to taking calculated risks on a daily basis. If you’re wondering what the chances are you’ll ever file a disability claim then let the numbers help add perspective. One in four Americans will experience some type of situation before age 65 in which they need to make a disability claim. Would you be surprised to learn physicians go out on long-term disability claims more than the average person? And it’s not just a little- the rate for physicians is double the rate of an average person. But no matter what the statistics say, if a debilitating illness or injury happens to you, you’ll be the only statistic which matters. Disability Insurance is divided into two categories: short-term and long-term. Short term disability is for coverage while you’re out of work anywhere from 7 days to 6 months. Rarely would you need to purchase a policy for short-term disability – your main focus should be on long-term disability for physicians and complete coverage. Common needs for short-term disability include an accident or injury, and maternity leave. Long-term refers to any disability insurance which kicks in after a longer designated period, typically 90 days. There are many types of physically limiting possibilities which could cause a need for this type of disability insurance for physicians. Some of the more common causes are cancer, autoimmune disorders, mental illness, anxiety and burnout, in addition to injuries. There are a couple of other major differences when you compare short-term versus long-term disability coverage, other than the time-frame. One difference is the payout period between the two different types. For short-term, the payout is generally within a week of filing the claim. With long-term disability, you’ll have a longer period of waiting of at least 90 days. Each plan has its own specific timeline, but this further illustrates the difference between the two types. The timing of when your funds would be paid out is referred to as the elimination period. In some cases, the elimination period for long-term can even be as far out as 360 days. Generally speaking, the longer the elimination period for your policy then the lower the rate of the premium. At this point you might still be wondering why you need your own long-term policy versus solely relying on the plan through your employer. While it’s certainly a benefit from your employer that you’ll want to take advantage of, it’s simply not enough- and there are several reasons why. The number one reason you should purchase your own policy is because group policies are written in a language which is referred to as Any Occupation versus Own Occupation. We’ll discuss the differences in these two types in greater detail. You may find yourself moving quite a bit in your career, whether it’s to a new city or a new venture in your backyard. Having your own disability insurance that stays with you throughout your career is beneficial if you end up as a 1099 contractor or working locum tenens for another practice. It’ll be one less decision you have to make as you look for ways to grow in your career. Think of your own disability policy as being portable- wherever you go, so goes your policy. If you are a high-income specialist, such as an Orthopedic Surgeon, Neurosurgeon, Anesthesiologist, or Plastic Surgeon, you could benefit from the purchase of multiple disability insurance policies. Unlike health insurance or medical coverage, there isn’t a “Primary” or “Secondary” insurance provider. You can receive the benefits from both (or multiple) carriers, which could potentially cover more of your high-earning salary. Even if you aren’t practicing in one of these specialties, it’s still worth looking into and making sure you have as many gaps covered as possible, financially speaking. Yes, it’s true your employer absorbs most of the cost of the premium for disability insurance and you can benefit from being a part of a group plan. But as previously mentioned, there are several disadvantages to relying solely on your employer. You’re better off combining this benefit with your own disability policy. The cost of your premiums will depend largely on the types of riders you have within your policy. When you see the term “riders” and disability insurance, you need to know it’s another word used in the insurance world to describe certain conditions to your policy. Riders are put into your policy to make it as comprehensive as possible. There are various riders which are recommended for physicians, and then other types which should be carefully considered. It’s important to note the riders will change your quote, which makes it even more critical to understand what each one means. Here’s a look at the most common ones and whether or not you should consider adding these into your policy. Remember, insurance is a personal choice and riders are designed to tailor a policy to your needs as much as possible. We know typically a disability is not a black and white issue. Often times it can result in an injury which can be managed, but it still affects your day-to-day living. For instance, if you develop a disease which limits your productivity to 20 hours per week but yet you still have the ability to work a partial schedule. This is where a Partial or Residual Disability rider kicks in. It pays out when your disability limits your ability to handle your previous workload. Since some doctors are paid based on how many patients they can see, this is an important rider for physicians to consider. The Catastrophic Disability Rider is an option many physicians should consider, but only under certain circumstances. This rider is relatively new to the insurance world. This rider would provide an additional $8,000-$12,000 a month if you were to experience a catastrophic disability. Think of it as not being able to perform at least two Activities of Daily Living such as bathing or getting dressed on your own. This rider isn’t recommended for purchase unless you have maxed out the amount of individual disability insurance which is available to you. You could also consider this one more seriously if you’re in your 20s or 30s since you have 30+ years ahead of you in your career. If you don’t fall into either category, then the additional cost of this rider is probably money which is better spent elsewhere. Another common rider which is often written into a disability insurance policy is the cost of living adjustment, or COLA for short. A COLA rider will adjust the disability payouts for inflation. If you don’t have this particular rider, then your payouts will remain static no matter how long you have to withdraw for a disability. Keller goes on to say “If cutting the cost of coverage is an issue, this might be the first optional rider to consider excluding from your policy as it can add 10 percent or more to your premium. Along these lines, one school of thought is that it is more important to purchase the maximum monthly benefit available to you, even at the expense of not having a COLA Rider. Finally, keep in mind, that even if your policy includes a COLA Rider, this benefit is not necessarily guaranteed protection against increases in the cost of living”. Many long-term disability insurance policies will try to sell you an additional service related reimbursement of student loan payments. Sounds like a must for physicians, right? No, and here’s why. This product targets physicians because they know most doctors have a large student loan burden. But this condition doesn’t provide any extra benefits above and beyond a regular disability policy. You will waste your hard earned money and spend too much time trying to show proof of loan repayment. While the maximum payout on student loan “coverage” can approach $450,000, this condition doesn’t benefit most physicians. It’s usually only valid for the first 10 or 15 years of your policy, and the time period begins the day your policy is effective. Instead, if you were to become permanently disabled you should apply to have your federal student loans discharged. If you’re temporarily disabled, you can also apply for deferment or forbearance. Remember, if you’re on the PAYE or REPAYE student loan repayment plans, then your amount will be $0 per month because you will not have an income during your disability period. Not only do you need to know how the riders you choose impact your policy, but you also want to evaluate your contract for specific language. As mentioned previously, when you start researching disability insurance, you’ll notice two common phrases: any occupation and own occupation. Insurance companies pay out disability benefits based on whether or not you can work, but where the rub comes in is how the company defines work. It can vary from company to company too. A policy which pays out for any occupation means you can only receive benefits if you’re unable to do any form of work whatsoever, including jobs you have no interest or experience in. It’s very difficult to qualify for any occupation benefits because most people who become temporarily disabled can technically do some form of work. If you’re a surgeon and develop a slight tremor in your hands, the insurance company can easily prove you’re capable of doing other work. They don’t care if working in a grocery store is a massive step down from being head surgeon at a major hospital. Simply put, if you can work at all, you won’t qualify. You will usually find this any occupation language written into your group policy. This is yet another reason to purchase your own policy and not rely on only on what your employer provides. You should always avoid buying a policy with an “any occupation definition of total disability” language written into it. You’ll just be throwing away your money on a policy which may not support you as a physician when the time comes. If you are looking for a comprehensive individual disability policy, then you need to make sure the own occupation language is used in your contract. Own occupation disability insurance pays out when you are no longer able to perform the job you had before your injury. Whether you get a new job in a related field or end up working in an entirely different occupation, you’ll still receive disability benefits because you can’t execute your previous responsibilities. This particular condition of total disability is an absolute must for a physician’s policy as it is much more liberal with the definitions. It will truly protect your ability to perform the duties of your medical specialty. Even if you are able to work after becoming disabled, it’s unlikely your new gig will pay as well as your former position. Own occupation insurance will allow you to maintain your current lifestyle while you take the time to figure out your next steps. You should be aware that currently there are only six companies which offer this definition of Total Disability to physicians – Berkshire Life (a Guardian Company), Standard Insurance Company, Principal, Ameritas, MassMutual and Ohio National. Your state of residence or your medical specialty could impact the availability of own occupation definition as well. A condition written specifically for mental illness or substance abuse is an important condition to consider, as difficult as it may be to imagine yourself needing this type of language in your policy. According to Lawrence Keller, here’s what you should keep in mind as you’re reviewing the language in your long-term disability policy. “While some carriers will cover claims for mental and nervous conditions in the same way as any other accident or sickness, the majority of companies limit these claims to a lifetime maximum of 24 months. This limitation is invoked if the primary cause of disability was solely a psychiatric or substance abuse disorder or diagnosis including, but not limited to, post-traumatic stress syndrome, anxiety, depression and or alcohol abuse/addiction. Although many physicians will opt to purchase a policy with the least amount of restrictions, some willingly accept a policy with this limitation in order to take advantage of the cost savings associated with it”. Assuming you are a U.S. Citizen, you need to verify the Foreign Residence and Travel condition within your policy. If you were to become disabled, some policies will limit payment of funds if you choose to move outside of the United States. Most people are completely unaware of the residency restrictions of their policy. If you think there’s a possibility of moving outside the United States, then it would be worth understanding the language within your policy. This condition could vary from state to state, so if you are moving or planning to move, then you should be aware of any potential impact of this condition. In addition to the riders and conditions we discussed in the previous section, there are a handful of other conditions you need to review with your agent. Another factor you need to consider when purchasing your disability coverage is to have a clear understanding on the increase options affecting your policy. Make sure you are aware of how your policy and the rate will increase over the years. You’ll want to make sure your policy is a guaranteed-renewable policy. This means your rate will not increase with the approval of the state insurance department. You should also look for a non-cancelable policy to provide the absolute best coverage for you. This simply means once you’re covered, the insurance company can’t change the premium rate on you as long as you’ve been paying your premium on time. It is also highly recommended your policy contains an adequate Recovery Benefit. This is a benefit provided to you should you experience a loss in income after returning to work. For instance, if you were out of work for 14 months due to a disability claim, then returned and found your income has dropped by 15%, then you could continue to receive an income payment. You would have to demonstrate your business truly suffered, but since your practice is built largely on referrals, this isn’t out of the realm of possibility. Frankly, when it comes to disability insurance, women have historically been at a disadvantage with the rates. Females have a higher morbidity rate than their male counterparts, which has driven up the rates for women trying to obtain disability coverage. There are additional health risks with pregnancy and childbirth which result in higher premiums. Don’t let this stop you from purchasing a policy though. Instead, you just have to do a little extra homework and you’ll find something which works within your budget. When you are doing your shopping for a policy, the bottom line is to make sure you’re working with an agent who is familiar with your occupation, your specialty, and can help you make an educated decision. You’ll want to work with an agent who either has access to the unisex discount or can refer you to someone who is able to get access for your policy. Long-Term Disability Insurance: How Much Should I Plan on Spending? Hopefully you’re seeing the benefit of carrying your own long-term disability insurance above and beyond a policy provided by your employer. Ultimately you need to know how much this is going to cost you each year. Here’s the good news: there are multiple ways you can add disability insurance into your monthly budget without breaking the bank while still receiving adequate coverage. There are ways to save on the total bill each month by working with an agent who is familiar with multiple types of discounts. A guideline for how much you should be allocated from your monthly budget to disability insurance policy is around 1-3% of your gross income if you’re male, and 3-5% of your gross income if you’re female. For example, if you’re a female physician earning $300,000 annually, then your policy should land somewhere between $9K-$15K annually. In the same example, a male physician should aim for $3k-$9K annually for adequate coverage. Of course there are multiple factors which can determine your rate for coverage. It will depend on which state you live in, your age, and your specialty. If you currently practice in a non-invasive specialty, then you can expect to pay less than those whose specialty involves more invasive techniques. Keep in mind if you live in California or Florida, your rates are typically higher than other states. If you think it’s possible you could live in one of these two states, it would be worth your time to purchase your policy prior to moving there. If you have already purchased your policy in California or Florida (or any other state with higher rates) then it could be beneficial to look into replacing your policy. For many of you, adding the monthly premium may seem too expensive or unnecessary. But you have to think of it as a non-negotiable way to set you and your family up for a more secure future. If a discount plan doesn’t exist, then there are a few other options you can discuss with your agent. The first way is what’s referred to as a Multi-Life Policy discount. If you have at least two or more people (or whatever the carrier dictates is the number) who are willing to apply for coverage in your office. It doesn’t have to be solely disability insurance for physicians either. This discount would apply if the coverage is for a nurse, the office manager- anyone who has the same employer as you. You can inquire about a discount through a professional association you have partnered with or hospital affiliation. If you happen to be a business owner as well then it’s worth inquiring if there is a discount available. Some of these discounts can save you a substantial amount of money on your yearly premium, so it’s worth taking the time to inquire how you can benefit. You can hardly ever combine two discounts, which makes this an area you should compare rates on. You’ve Convinced Me to Purchase my Own Disability Insurance, Now What? Since you are entering into a contract with an insurance company, there are standard procedures you will need to go through in order to finalize your policy. Before you begin any of these steps though, you will want to make sure you are working with an experienced agent who understands the marketplace. You’ll also want to verify they can work with several different companies in order to compare rates for you. 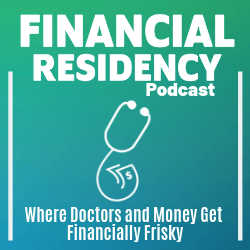 There’s more on disability insurance from Financial Residency right here! Typically you will be asked about your medical history, your family medical history, any medications you’re taking, and your tobacco usage. Your health is going to be an important factor in obtaining disability insurance. Be prepared to discuss your hobbies and activities. Believe it or not, what you do in your free time can have an impact to the amount of your premium. For instance, if you enjoy skydiving or rock climbing, you should prepare to pay a higher premium versus someone who doesn’t participate in those types of activities. The other factors unique to disability insurance for physicians is your specialty and how it will influence your rate. Your specialty will be a major factor in determining the amount of coverage you would need each month, should you find yourself in the position of needing a payout. If you’re a resident, you’ve probably been bombarded with messages about receiving a significant discount on your policy during your residency or fellowship. You might be led to believe this is the only time you can purchase at a discounted rate. Truthfully, the discount is typically in place up to 90 days after graduation! If you’re feeling rushed to make a decision as you’re completing your residency, then you can relax a little and give yourself time to research the best policy for you and your specialty and the state you’ll end up residing in. But do keep in mind, if you can purchase the policy while you’re a resident (or shortly thereafter), then you should take advantage of the opportunity. The best time to purchase a policy is when you’re young and healthy. Also, keep in mind you can always add coverage to your disability policy as you get older. If you are limited during your residency on how much you can realistically afford, then get the best policy you can for your budget. When your income is adjusted at a later date, then you can add to your policy if necessary. You would actually do this through a Future Increase Option Rider. This rider would allow for you to purchase additional coverage without going through the medical evaluation again. Similar to how you go through financial checkups with your investments and retirement accounts over the years, the same goes for your disability insurance. There are several questions you need to ask yourself as you evaluate your policy each year and as your financial situation changes. Are my student loans paid off? Am I married now with a working spouse? Are children in the picture, if not now, could they be? Is my mortgage paid off now or will it be in the near future? Am I finally at an age where my savings could bridge the gap until I turn 65? All of these factors determine how much disability coverage you actually need. Depending on how you answer these questions will determine whether or not it’s the right time to modify your policy. A modification to your policy could simply be adding or reducing the payout amount, or dropping a certain rider. Another common question is whether or not you should replace your disability policy and switch carriers. This would be beneficial to you to replace a policy if you could save a significant amount on the premium. This is especially true if you’re a female physician and can obtain a unisex policy at the much lower rate. As mentioned earlier, if you are in a high-earning specialty, you should give thoughtful consideration to purchasing two plans. Remember, carriers have limits on the amount of coverage for each of their own plans or in conjunction with other plans. The bottom line is, as your earnings increase, it’ll be more and more important to make sure your finances are protected in case of an accident or illness. It may seem as if you are paying money each month for something with very little return. Unfortunately, though, the statistics show there is a very real possibility you may need this type of insurance one day. You’ve already taken an important step in researching the basics about disability insurance for physicians. Now it’s time to work with an agent and find the right coverage for your future. Don’t forget you can always discover more information regarding your financial health by subscribing to the podcast.